Left weenie: When my mom cleans out my eye boogers, I insist she feed them to me. 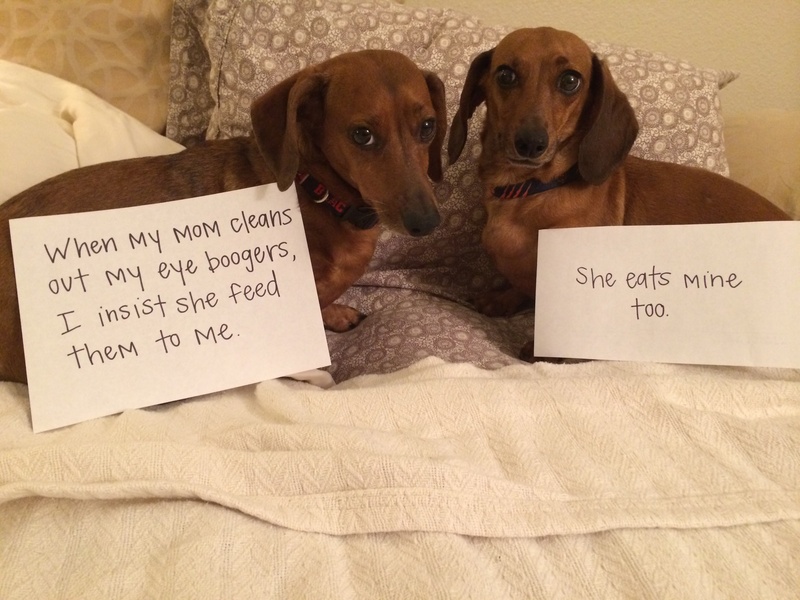 Right weenie: She eats mine too. Posted March 28th, 2016 .